Ex-President Goodluck Jonathan plans to seek private audience with President Muhammadu Buhari over the aledged statement made by former National Security Adviser, Alhaji Sambo Dasuki accusing him in the fraudulent arms and ammunition procurement deal. A close source to Goodluck Jonathan was cited as saying the former-president, will not be involved with Dasuki's, who confessed that the former president confirmed the scandalous payout of funds meant for the procurement of arms for the military to fight the war against insurgency in the North Eastern part of the country, as reported by the Nations. The Economic and Financial Crimes Commission, (EFCC), cleared Dasuki with four others on Monday before the Federal High Court, Abuja, on a 19-count charge based on misappropriation and fraudulent payout of funds meant purchasing of arms. According to The Nations newspaper, it was revealed on Tuesday, has it that some close associates GEJ were cooking up a private meeting between him and President Mohammed Buhari to enable the him open up some things to the President. 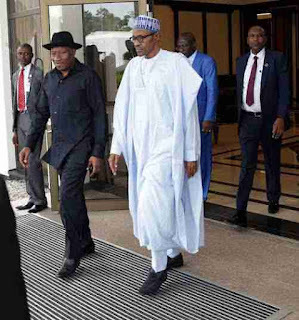 It quoted the source The Nations Newspaper as saying, “Jonathan will prefer a private audience with the President rather than taking up issues with the suspects in public. Some of the expenditures have grave security implications as they involve some neighbouring countries. “As a statesman, Jonathan cannot just open up at all. For example, there is a unit where the overhead of past Presidents and Heads of State was taken care of. Some of the funds disbursed by the office had to do with these funds. If Jonathan speaks, will he not rubbish these past leaders? “Some Presidents from some countries sought financial assistance from ex-President Goodluck Jonathan. Do you expect the former leader to issue a statement on such a sensitive request?